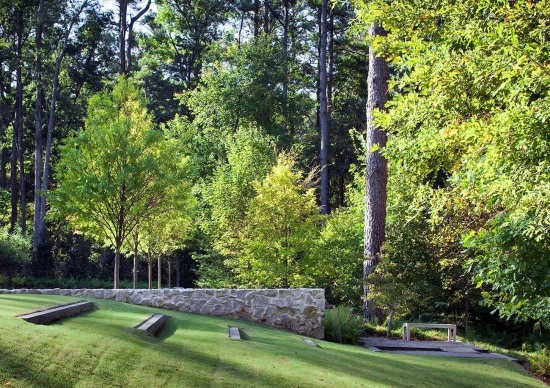 The American Society of Landscape Architects (ASLA) has announced this year's winners of its Professional and Student Awards, which honor "top public, commercial, residential, institutional, planning, communications and research projects from across the U.S. and around the world." Each of the winning projects will be featured in the October issue of Landscape Architecture Magazine and be officially presented by ASLA at its annual meeting and expo in Denver on November 24th. In total, 34 professional awards were selected out of 600 entries. General Design Category Award of Excellence Bill & Melinda Gates Foundation Campus Seattle Gustafson Guthrie Nichol Honor Awards Slow Down: Liupanshui Minghu Wetland Park Liupanshui, Ghizhou Province, China Turenscape Gebran Tueni Memorial Beirut, Lebanon Vladimir Djurovic Landscape Architecture Segment 5, Hudson River Park New York City Michael Van Valkenburgh Associates Inc. Salem State University Marsh Hall, Salem, Mass. WagnerHodgson Landscape Architecture Urban Outfitters Headquarters Philadelphia Navy Yard, Philadelphia D.I.R.T. Studio Laurance S. Rockefeller Preserve Grand Teton National Park, WY Hershberger Design for D.R. Horne & Company Hunter's Point South Waterfront Park Queens, NY Thomas Balsley Associates and Weiss/Manfredi Low Maintenance Eco-Campus: Vanke Research Center Shenzhen, China Z+T Studio Shoemaker Green University of Pennsylvania Andropogon Associates, Ltd. Residential Design Category Award of Excellence Woodland Rain Gardens Caddo Parish, La. Jeffrey Carbo Landscape Architects Honor Awards Hill Country Prospect Centerport, Texas Studio Outside for Sara Story Design Vineyard Retreat Napa Valley, Calif. Scott Lewis Landscape Architecture Le Petit Chalet Southwest Harbor, Maine Matthew Cunningham Landscape Design LLC Sky Garden Miami Beach, Fla. Raymond Jungles Inc. West Texas Ranch Marfa, Texas Ten Eyck Landscape Architects Inc. GM House, Bragança Paulista São Paulo, Brazil Alex Hanazaki Paisagismo City House in a Garden Chicago McKay Landscape Architects Analysis & Planning Category Award of Excellence Midtown Detroit Techtown District Detroit Sasaki Associates Inc. Honor Awards The Creative Corridor: A Main Street Revitalization for Little Rock Little Rock, Ark. 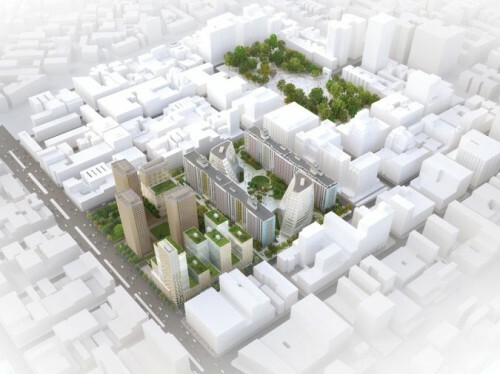 The University of Arkansas Community Design Center and Marlon Blackwell Architect Devastation to Resilience: The Houston Arboretum & Nature Center Houston Design Workshop Inc., Aspen, and Reed/Hilderbrand Zidell Yards District-Scale Green Infrastructure Scenarios Portland, Ore. GreenWorks, PC Yerba Buena Street Life Plan San Francisco CMG Landscape Architecture Unified Ground: Union Square - National Mall Competition Washington, D.C. Gustafson Guthrie Nichol Communications Category Award of Excellence The Landscape Architecture Legacy of Dan Kiley The Cultural Landscape Foundation Honor Awards Freehand Drawing and Discovery: Urban Sketching and Concept Drawing for Designers James Richards, FASLA, published by John Wiley & Sons Inc. Monk's Garden: A Visual Record of Design Thinking and Landscape Making Michael Van Valkenburgh Associates Inc. Garden, Park, Community, Farm Nelson Byrd Woltz Landscape Architects Pastoral Capitalism: A History of Suburban Corporate Lands Louise A. Mozingo, ASLA, published by MIT Press The Landmark Award Norman B. Leventhal Park at Post Office Square Boston Halvorson Design Partnership Inc.
Bjarke Ingels and Michael Van Valkenburgh are teaming up to design Pier 6 at the southern end of Brooklyn Bridge Park. As AN reported, the pier will feature a pastoral landscape terminated by a triangular viewing pavilion called the Mantaray. The landscape and viewing platform will offer unmatched views of the Manhattan skyline and accommodate special events like concerts. 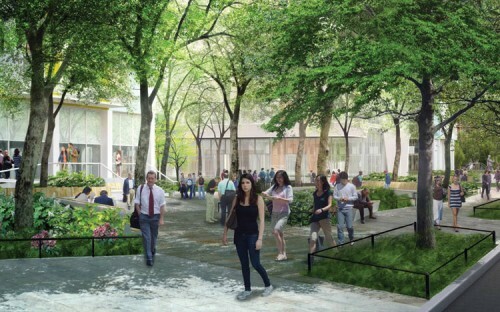 Take a look at the gallery of renderings below or read more about the project here. 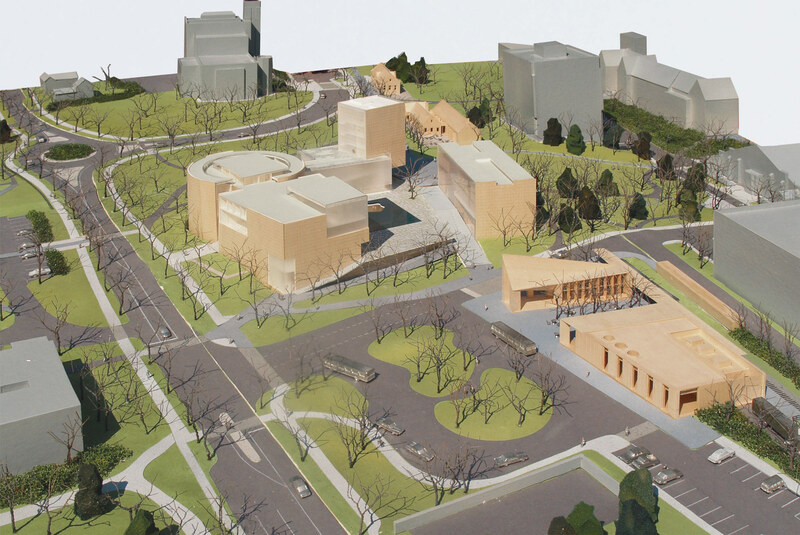 All renderings courtesy BIG and MVVA. The American Academy of Arts and Letters named the winners of its 2010 architecture awards Tuesday, which were dominated by northeastern designers. Long-time GSD professor Michael Van Valkenburgh is the recipient of the Arnold W. Brunner Memorial Prize in Architecture. 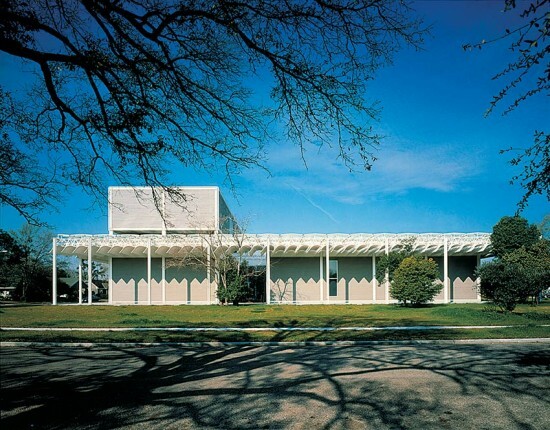 The annual award of $5000 has been given to preeminent architects since 1955, ranging from Louis Kahn to Elizabeth Diller. 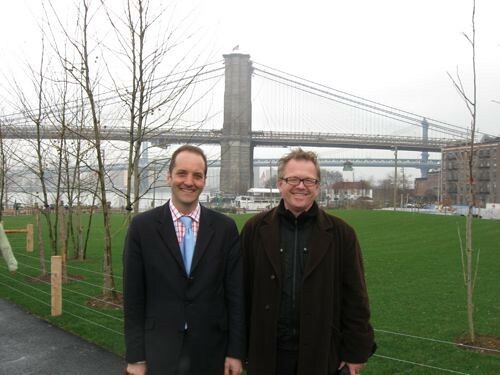 Van Valkenburgh has designed more than 350 landscapes, including the recently opened Brooklyn Bridge Park. 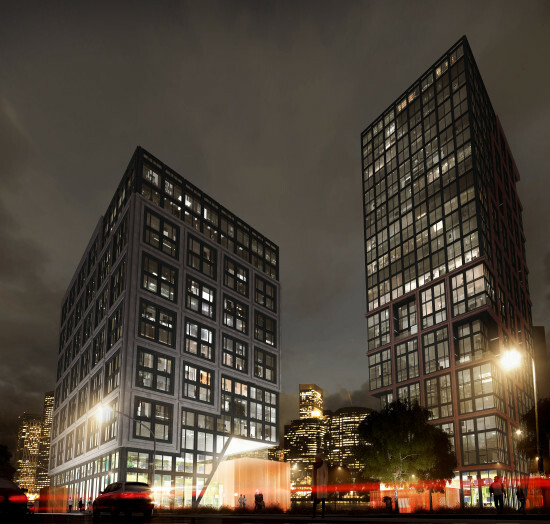 The Academy also announced the winners of its Academy Awards in Architecture, for strong personal work, which go to New York's planning-obsessed Architecture Research Office and the Afterpartying MOS, of New Haven and Cambridge. And City College architecture dean, critic, and designer Michael Sorkin also won an Academy Award, largely for his writing. The four winners beat out 50 nominees and were selected by academy members Henry Cobb, Hugh Hardy, Steven Holl, Laurie Olin, Billie Tsien, and Tod Williams. 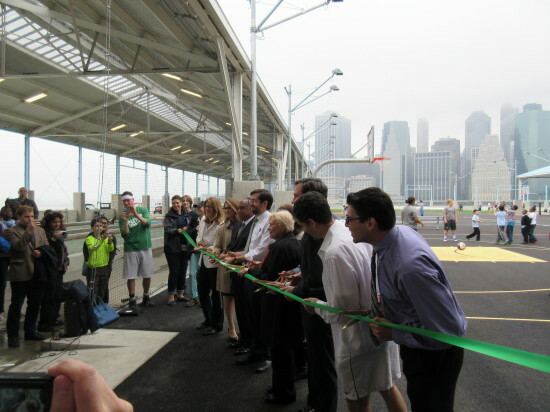 We've already mentioned the opening today of Pier 1, the first piece of Brooklyn Bridge Park. But for those of you less concerned with park governance and public-private funding mechanisms—most of you, really—than with the actual park itself, herein is our guided tour (click the photo above to begin). While the rain may have dampened the mood of some New Yorkers today, not here in the park, which seemed brighter for the downpour, verdant as Ireland and twice as lucky for having opened after a 25-year struggle. The park, and even this first sliver of it, is magnificent and majestic, a transformative place so different and particular—not unlike the High Line—that it can change your entire perception of the city. Dan Kramer, chair of the BBP Conservancy, agrees. "When I walk around, I get the same feeling I get walking around the High Line" he said at today's ribbon cutting. 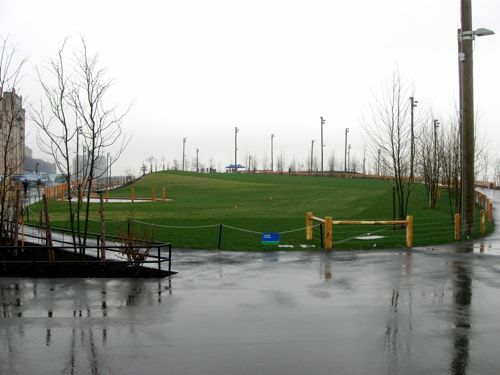 "This park feels like it was always here, like it always belonged here." Michael Van Valkenburgh sees the park as a civics lesson. "I'm always reminded when a park opens that there's nothing more democratic or important to the city than a park," he said. "I'm always struck how this is for everyone." He and principal-in-charge Matt Urbanski said they expected the newly empowered to city to keep on building, and the opening would only help boost their momentum. "It's like serving the entree without all the fixings," Urbanski said. "This is a big slice of roast beef, and it's gonna be good, and everyone'll want more." Regina Myer, head of the park development corporation and maestro of its construction, certainly believes New Yorks will like their first taste of the place. 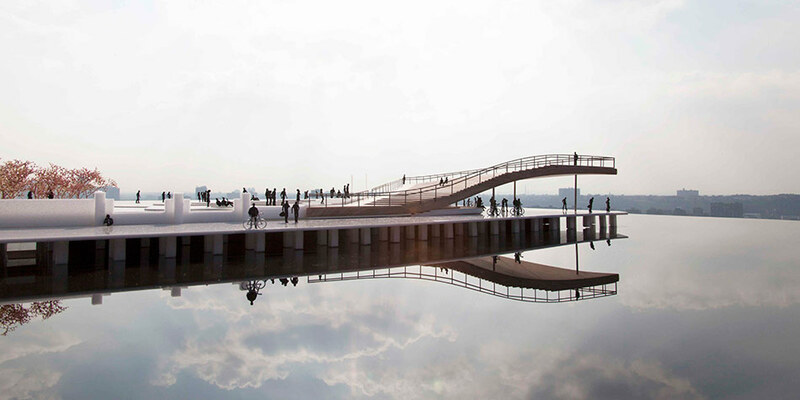 "It's a park like none other, given its place on the water and in the city," Myer said, "but really, it's extraordinary for the way it embraces beautiful design and sustainability and I think that, maybe after the bridge, is what people are going to notice."